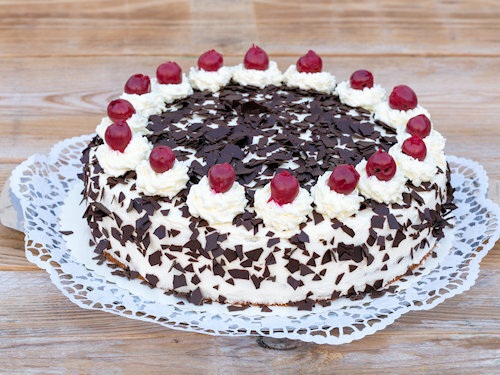 The Black Forest gateau consists of several layers of dark sponge, cherries, whipped cream and chocolate curls. The gateau contains alcohol, since the lowest layer of sponge is soaked with kirsch, as are the cherries on top. 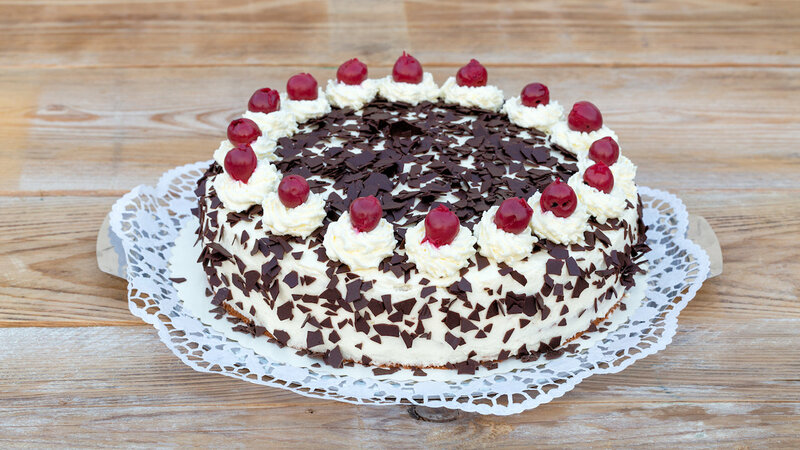 The Black Forest gateau is world-famous and is therefore served practically everywhere. But it tastes best of all in the Black Forest, in a cosy café with a view of the Black Forest.